Mentioning another user in a page comment. Please feel free to have a look at my other free plugins on the Atlassian Marketplace here. 2015-03-22: Links to other plugins on the Marketplace added, image captions added. 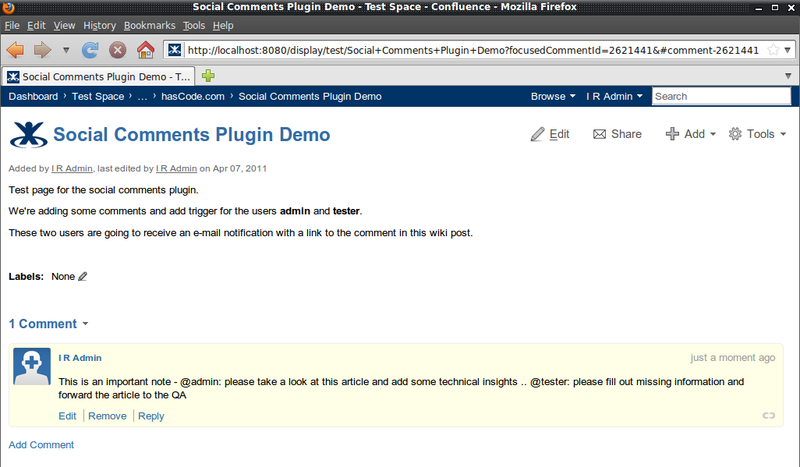 This entry was posted on Monday, May 30th, 2011 at 8:45 pm	and is filed under Apps, Confluence. You can follow any responses to this entry through the RSS 2.0 feed. You can skip to the end and leave a response. Pinging is currently not allowed.